D’Tigers Fall Behind For the Second Time at the FIBA Stankovic Cup. After losing their opening game of the 9th Stankovic Continental Champions Cup, D’Tigers failed to revive their campaign in their second game against Puerto Rico in Lanzhou, China. In the second round of action in Lanzhou, Puerto Rico held off Nigeria, eventually winning the contest by 70-66 points. 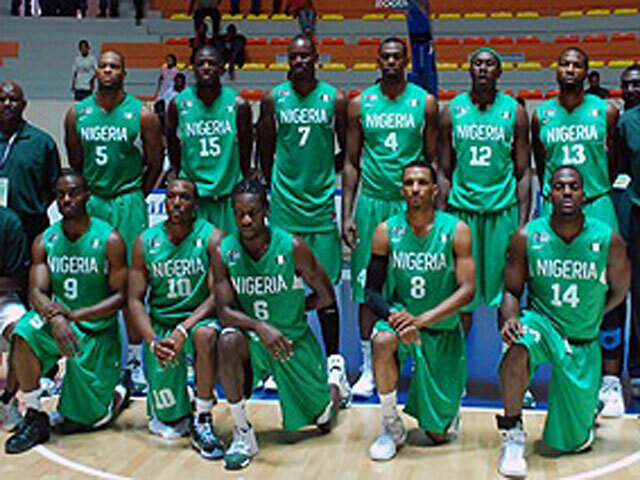 The defeat was D’Tigers’ second loss in the tournament which serves as a build-up to the forthcoming Afrobasket Championship tagged Abidjan 2013. Carlos Lopez-Sosa (211-F-90) stepped up with 17 points to lead the Latin American side. Derick Beltran (193-G, college: Southern) and Manuel De Jesus (206-C/F-83, college: Southeastern CC) added 10 points each for the winners. Puerto Rico pulled ahead early in the game. They recorded a 20-16 lead after ten minutes. Nigeria however turned things around in the second period. The African side added the tempo in the second term. Nigeria outscored their opponents to secure a 34-33 halftime lead. However, Puerto Rico quickly reacted. They went firing from all guns in the third term. Puerto Rico went on a 21-11 run in the quarter to ensure a comfortable 9-point lead before the fourth frame. Nigeria tried hard to comeback into the game but came up short of victory at the end. Abdulwahab Yahaya (203-F-90) answered with 14 points for Nigeria. Richard Oruche (193-SG-87, college: Ill.-Springfield) had 13 points in the loss. Chelsea Agrees Fee for Egyptian Midfielder Salah. Fifth Seed Nadal Could Face Djokovic, Federer or Murray in Wimbledon’s Last-Eight. Previous articleCisse Departs QPR by Mutual Consent. Next articleMessi in Senegal: The Barca Star Believes Mourinho Will Succeed at Chelsea.